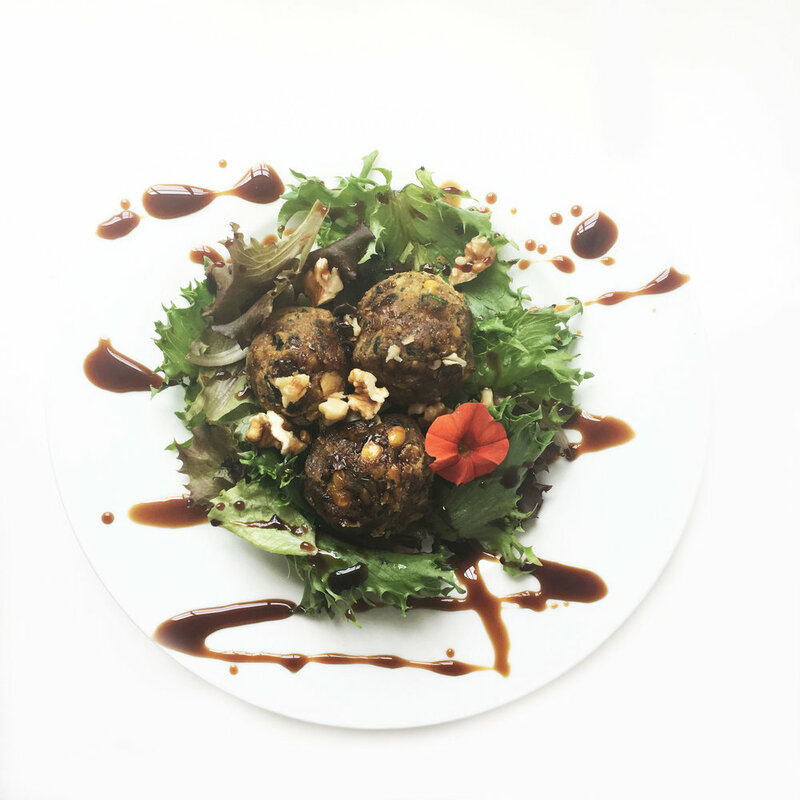 Our meatless meatballs come in four flavors and offer a more exciting and creative alternative to animal products. Each flavor evokes a different regional cuisine from around the world. Let us take your taste buds on an exploration! Full-flavored, nutty bulgur wheat, sundried tomatoes, mushrooms, fresh basil and oregano. All the tastes of Italy rolled into a healthy ball. Light, nutty chick peas with spinach, parsley and spice. It starts a light, slightly sweet flavor and ends with a bit of exotic heat. Better than falafel. Hearty kidney beans, sweet mango, collard greens, pumpkin seeds and curry. So many tastes and textures singing together, pure bliss. Asian influence abound with black forbidden rice, organic edamame, peanut, scallion and miso. All the umami flavors of the East united and rolled into one bite. • Goes with: cabbage and kale, bok choy, any stir fry ingredient, spiralized turnips or carrot.